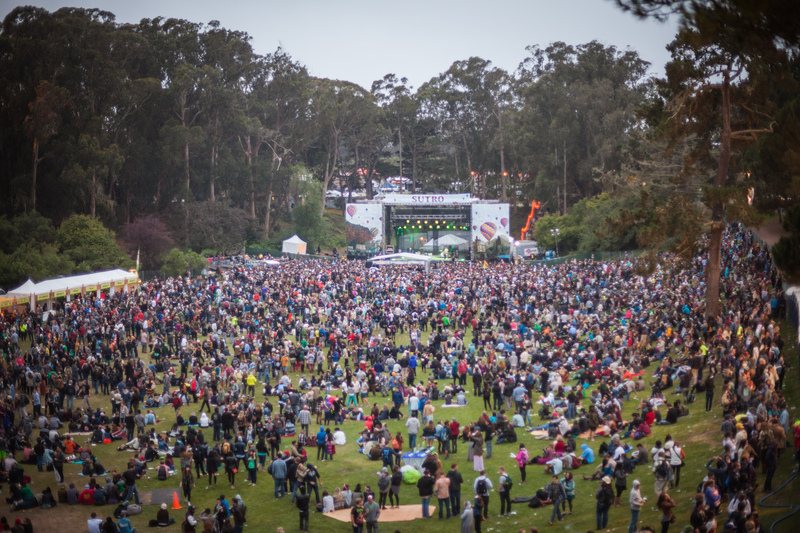 For three days every year, two famous vintage wooden windmills and 180,000 people turn San Francisco's Golden Gate Park into a veritable musical epicenter. For three days every year, two famous vintage wooden windmills and 180,000 people turn San Francisco's Golden Gate Park into a veritable musical epicenter. Headliners abound (this year they include the likes of Kanye West, Tom Petty & The Heartbreakers, The Killers and Macklemore), and they're joined by the city's best culinary talents, its craftiest craft brewers and so much more. 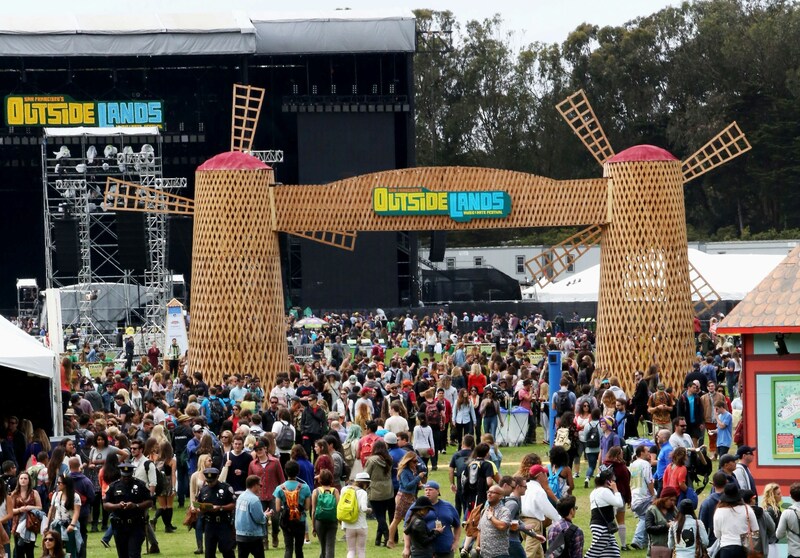 Whether this is your first time attending or your fourth, navigating the Outside Lands Music Festival (Aug. 8-10) is, well, no walk in the park. This handy insider's guide from a festival veteran has the essential tips that will help get you through it. Because VIP and general admission tickets are both sold out. If you've already got a ticket, nice work! If you don't, you're going to have to go online (Craigslist, StubHub, etc.) or be prepared to overpay someone at the entrance. In the event that you don't find one/are on a budget, check out Outside Lands Night Shows -- the bands are actually pretty great and playing all over San Francisco during the festival, including the Smith Westerns at Brick & Mortar and The Growlers at the California Academy of Sciences on Aug. 8, and Wild Belle at Rickshaw Stop on August 9. 2. You've got a ticket. Now rent a bike. To get to Outside Lands you can 1) drive (and then spend hours looking for parking); 2) pay surge pricing for an Uber (last year I dropped $50 on the three-mile drive from Alamo Square); 3) try to take Muni and count the number of consecutive jam-packed buses that drive right by your stop; 4) pay for a three-day shuttle pass ($45), which will get you a seat on buses that go between Bill Graham Civic Auditorium and the festival (but service is spotty between 5-8 pm and stops at midnight); or 5) bike. Bikers are treated to a bike valet at Outside Lands, plus if you park between 10 am and 8 pm, they'll hook you up with a free bike wash, too! Just make sure you BYO lock. Even though Mark Twain didn't say the infamous quote about SF summers being the coldest winter he ever spent, it still applies, especially in Golden Gate Park. Rain sprinkled during parts of last year's festival, and Chicago-level winds followed before the sun finally broke through and, with it, the most gorgeous afternoon in the history of the festival. The lesson: bring a hoodie (and a tank top). 4. Know what you can and can't bring. Allowed: a cooler that can fit a 12-pack, two factory-sealed 1-liter water bottles, blankets. Not allowed: alcohol, strollers, lawn furniture. Also bizarrely prohibited: umbrellas, cans of any kind and large backpacks. 5. Get the app (but print the schedule, too). 6. As soon as you're through the gate, get a locker. Run! Seriously, run. For the second straight year a very limited number of lockers are available first come, first... locked. On the off chance the weather is perfect, you can dump that hoodie you brought along with your poncho. Both are a bit pricey, but since you can't bring in your own alcohol, they're also your only alcohol option. Both are stacked with fantastic options though, in particular Beer Lands, which features 99 percent local brewers, from stalwarts like Anchor and Sierra Nevada, to incredible micro-brewers that you absolutely should try like Almanac and Pacific Brewing Laboratory. Wine Lands will have 37 winemakers uncorking 120 wines under a canopy with chandeliers hanging from it. Fancy! 8. Check out every food stall, but don't forget Choco and Cheese Lands. 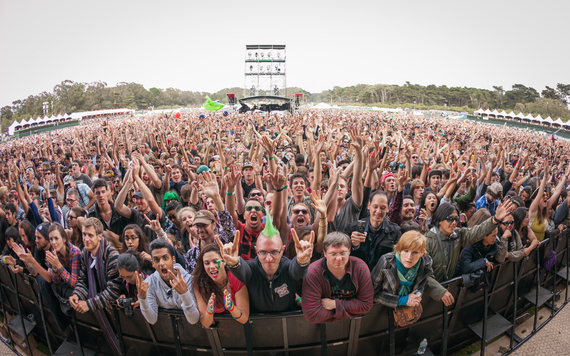 Both make repeat appearances at Outside Lands and are set up deep in the woods--perfect for exploring between sets. Strangely, your best option at Choco Lands (if you can find the place) is actually going to be an ice cream from San Francisco cult favorite Humphry Slocombe, which will have a fan-voted signature flavor. Before you get fixated on Tom Petty and Kanye, check out the popularity-contest-winning middle of the concert bill: Flaming Lips, Big Freedia, Tycho, Jenny Lewis, Kacey Musgraves, Phosphorescent, Death Cab for Cutie, Chvrches, Bleachers, Haim, Chromeo and Spoon. This will also be the most rap-heavy lineup ever, with lyrical game-spitters Watsky, Atmosphere and the deservedly acclaimed duo Run the Jewels joining Macklemore and Kanye. Plus, if you love a good underdog story, a host of local up-and-comers will perform, including Mikal Cronin, Tumbleweed Wanderers, the Brothers Comatose, Trails and Ways and Finish Ticket. 10. Don't worry about how to charge your phone. Assuming you don't schmooze your way into one of the VIP cabanas, stop by the AT&T Mobile Lounge -- it will stock a variety of phone chargers and offer a number of giveaways. Bonus: PayPal will host a convenience store selling the things you might forget to bring like lip balm, sunscreen, glow bracelets and blankets. 11. Check out the giant white igloo. If you're interested in a weekend-long EDM party dubbed the House by Heineken, this is the place.